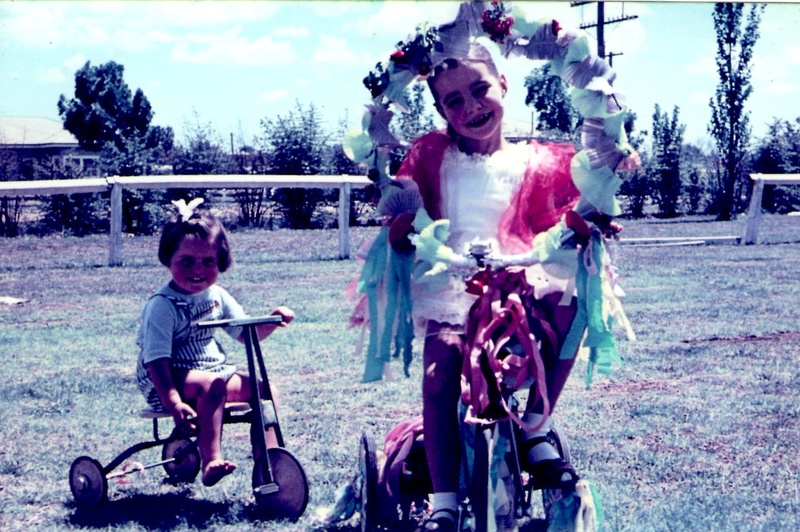 I entered it into a bike decorating competition in one of the towns where I grew up – Inverell, NSW. Inverell has an annual festival called the Floral Festival. This festival is still celebrated and apparently it still has cycle related festivities. I did not win, although I did get an honourable mention in the parade coverage as I rode along the main street in the parade with the more illustrious entrants on their “two wheelers”. My father was told that there was a conflict of interests, the details of which I do not recall, which meant that they could not award me with the prize, which I am sure I deserved (or maybe my poor mother deserved it). 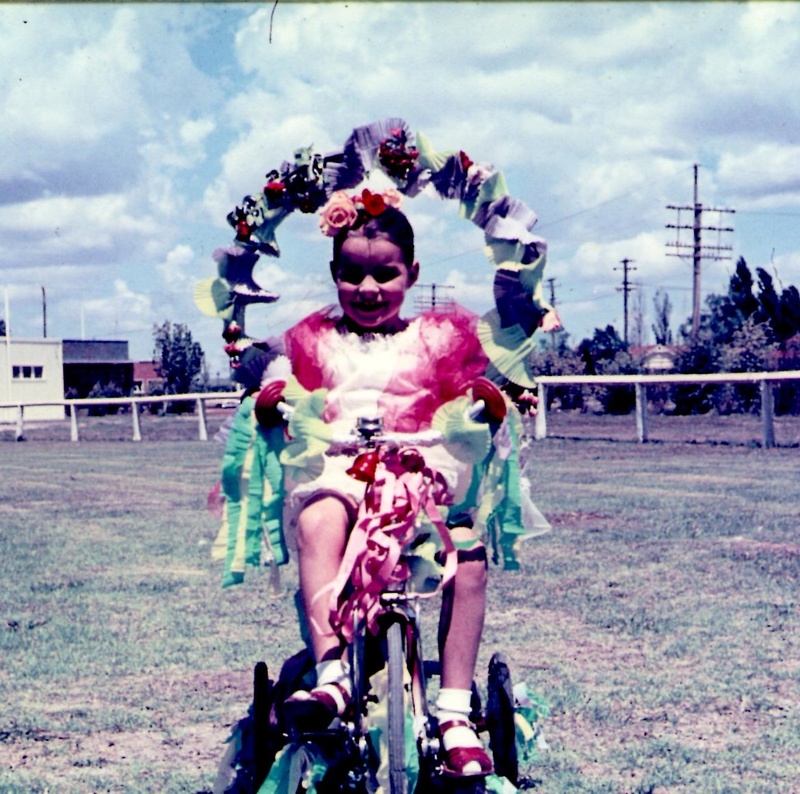 This bike was a red shiny machine, a Cyclops, I got it brand new and it had a shimmery paint job that I can still remember although I do not remember the festival ride, unfortunately. One especially nice feature was the rear stand which allowed pillion passengers to be carried, and also the red handgrips with their streamers and handguards, not unlike a sword might have. You can also see that it has a small aerial and little rack at the front, it must have been a classy model with all those features! 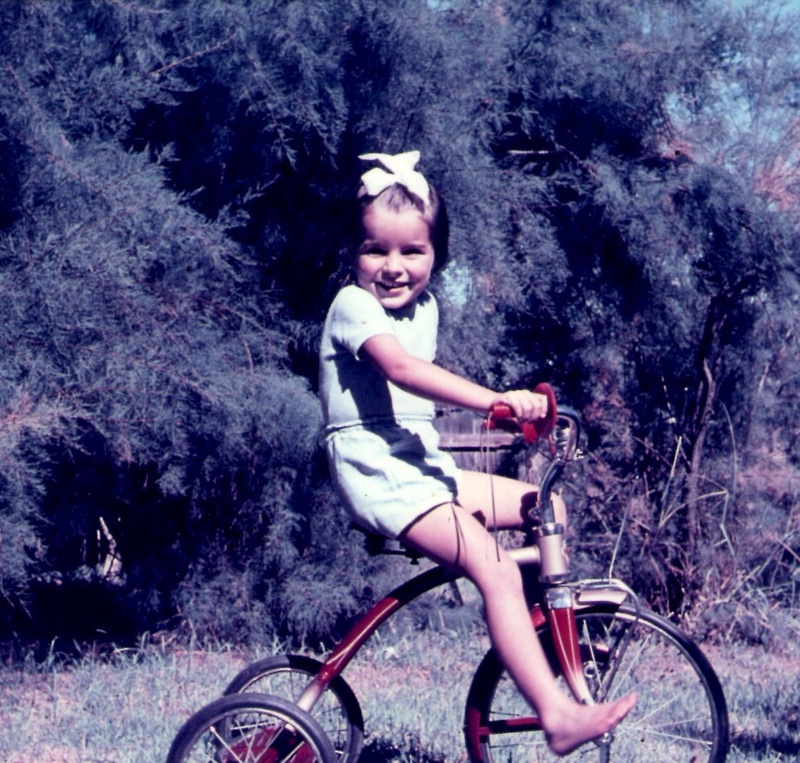 This entry was posted in Uncategorized, Vintage bike and tagged about me, cycle chic, Cyclops tricycle, kids on bikes, vintage bike. Bookmark the permalink. Yes, grandpa has told me that story many times when I have cycled to his house. The next door neighbour at the time, she was a judge in the contest, and may have been a babysitter to you? That was the conflict. That paint job IS amazing isnt it? There’s a brand out now that copies these vintage trikes with the pillion platforms called “radio flyer” I was thinking of trying to track down a second hand one for my son, but have heard that if you teach them to ride a balance bike from age two they can easily transfer to a pedal bike with no training wheels by age four, no dramas. What do u think? Thanks for clarifying Jess. the neighbour also helped with the decorating & I am sure she did my makeup too! I think that to go from a balance bike to a two wheeler would be better, the trike had limited use from what I can remember, they only go so fast and have very limited cornering power. Though the rear pillion platform was fun and looking at the front rack you could maybe fit three on the bike altogether, though I don’t remember doing that! Ahh, yes the bell! It does look good. I don’t know what became of the trike, but my last memories of it were it was all scratched and rusted.